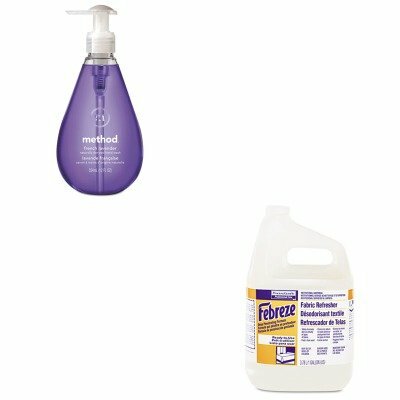 KITMTH00031PAG33032CT - Value Kit - Febreze Fabric Refresher amp;amp; Odor Eliminator (PAG33032CT) and Method Hand Wash (MTH00031) by Febreze at Blog Free Here. MPN: MTH00031PAG33032CT. Hurry! Limited time offer. Offer valid only while supplies last. lt;stronggt;PAG33032CTlt;/stronggt;lt;BR/gt;Febreze Fabric Refresher amp;amp; Odor Eliminatorlt;BR/gt;Cleans tough odors, doesn't cover them up. lt;stronggt;PAG33032CTlt;/stronggt;lt;BR/gt;Febreze Fabric Refresher amp;amp; Odor Eliminatorlt;BR/gt;Cleans tough odors, doesn't cover them up. Apply directly on fabric once fabric dries, smell is gone for good. Eliminates food and smoke odors on virtually all fabrics. Scent: Fresh Clean Physical Form: Liquid Application: Fabric.lt;BR/gt;lt;BR/gt;lt;stronggt;MTH00031lt;/stronggt;lt;BR/gt;Febreze Fabric Refresher amp;amp; Odor Eliminatorlt;BR/gt;Avoid hand washes that contain harsh chemicals by using this hand wash soap made from naturally derived ingredients. Vitamin E and aloe make it easy on your hands. Soap Type: Liquid Application: Hand Capacity Volume: 12 oz.